The hypothalamic pituitary adrenal (HPA) axis is our central stress response system. 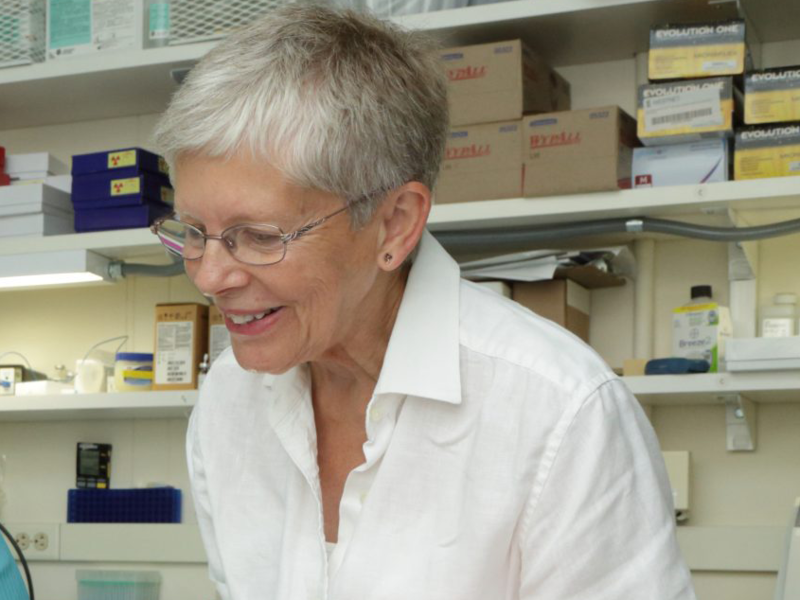 FRAXA Research Foundation awarded Dr. Carolyn B. Smith $62,000 in funding in 2005 to explore the HPA axis in Fragile X mice. The results of their study indicate that, in FVB/NJ mice, the hormonal response to and recovery from acute stress is unaltered by the lack of Fragile X mental retardation protein. Results published. Several lines of evidence support the idea that Fragile X syndrome may involve a dysregulation of the hypothalamic-pituitary-adrenal (HPA) axis. Hessl et al. (Psychoneuroendocrinology 27:855-872, 2002) reported that boys with Fragile X syndrome have elevated levels of cortisol in saliva under both normal and stressful circumstances. We have found in the Fragile X (Fmr1 null) mouse increased rates of cerebral protein synthesis and abnormal spine morphology in hypothalamic nuclei. Julie Lauterborn (Mol Brain Res 131:101-109, 2004) reports prolonged recovery from stress-induced c-fos expression in hypothalamic nuclei in Fmr1 null mice. Our proposal is to study the HPA axis in Fmr1 null mice. We will examine its normal function, its response to and recovery from stress, and its feedback regulation. Our experiments are designed to address the hypothesis that there is an impairment of feedback regulation of the HPA axis in Fragile X patients. If so, our results will begin to localize the step(s) at which regulation is impaired. Understanding of an impairment of the HPA axis in Fragile X and the specific step(s) at which the impairment occurs may lead to targeted therapies that could help to alleviate symptoms of the disease.